A Google map of Si Racha. Si Racha at the south coast line of Bangkok is interesting. 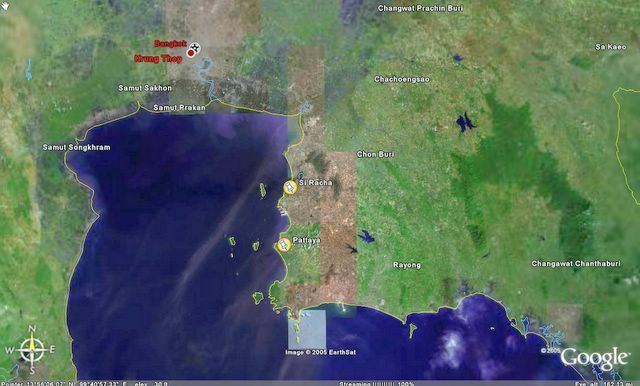 Rocky coast with busy deep sea habours being the main import and export port of Thailand.